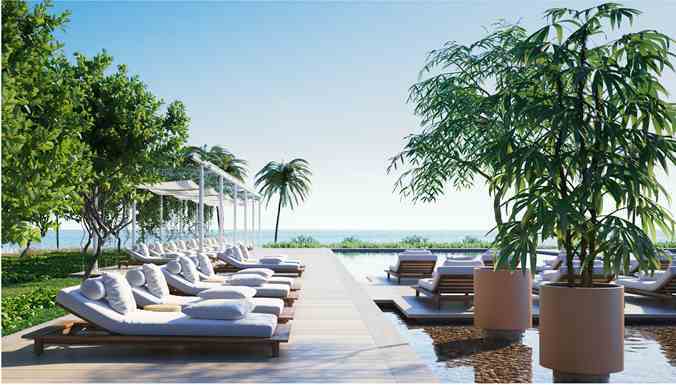 87 Park will be located along the edge of Parkland and right next to the gorgeous Atlantic Ocean. It promises to be a beautiful building that will bring a lot to the area, which can always use high-quality, luxury spaces for residents looking for the perfect place to call home. The building, developed by Terra and Bizzi & Partners Development are designing a property that will exude beauty and luxury. What Will the Homes Offer? One of the first questions that potential buyers have when they are looking for a property is what features they can expect from the homes. One of the first things you will notice is that the units at 87 Park will be quite large and open, and they will have plenty of light coming in from the windows. In addition, you can expect some truly phenomenal views from this location. The interiors will feature great appliances, as well as American oak and Italian stone. These can help to add a layer of elegance to the units that is not always found in other buildings in South Florida. The balconies are another one of the great features you are sure to enjoy. Step out to the balcony in the morning to greet the day, enjoy some sun in the middle of the day, or have a nightcap in the evening. What Will the 87 Park Building Amenities Include? Of course, even though the units themselves have quite a bit to offer, you are probably wondering about the amenities in the building, as well. Fortunately, you will find quite a bit to love. 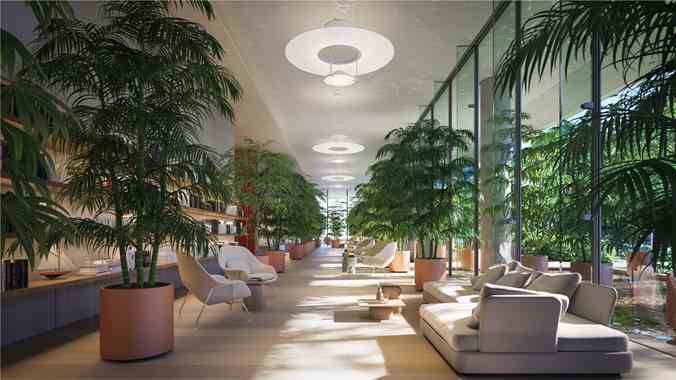 The moment you step into the lobby, you will know that you are entering someplace special. 87 Park has a glass lobby, beautiful landscaping and design inside and out, and a bar that serves “botanically inspired drinks”. The building also features a library. You can head outside to the gorgeous pool area and enjoy a nice swim, or relax in the cabanas. The building also features an outdoor bar, and you are literally just a few steps from the beach and the ocean. When you choose to live at 87 Park, it is like being on vacation all the time, and it doesn’t get much better than that. In addition, you can spend some time enjoying the spa, as well as the fitness center, which offers quality, state-of-the-art equipment for you to stay in shape. The location is yet another reason that this building will be popular. Not only are you just a short distance away from the ocean, but also just a short distance away from everything else you want to see and do in Miami whether you are a resident or you are using this as a vacation property. If you are interested in the preconstruction 87 Park, be sure to keep a close eye on it, as the units are likely to sell very quickly. You want to be able to get the unit that you really love.